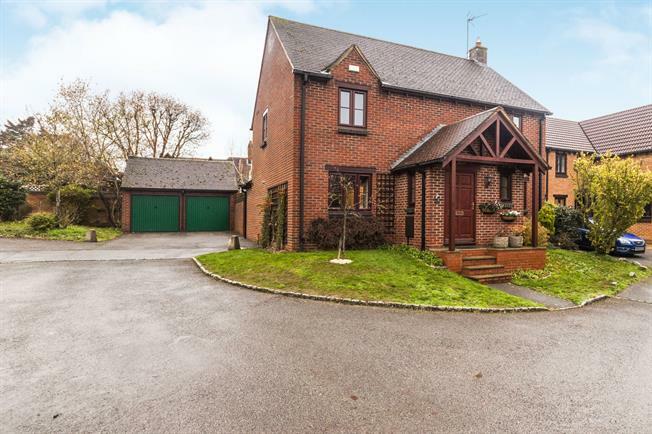 4 Bedroom Detached House For Sale in Bracknell for Guide Price £625,000. An impressive four double bedroom detached family home, situated at the end of a quiet cul de sac on a larger than average corner plot. This lovely well presented home offers a blend of modern contemporary living with attractive character features. Accommodation comprising; Living room with feature fireplace, separate dining room, refitted kitchen breakfast room, study and downstairs cloakroom. Upstairs has a master bedroom with refitted ensuite, three further double bedrooms and family bathroom. Benefits include gas heating via radiators, double glazing and being one of few of this style to have a detached double garage and double driveway parking. To the rear is an enclosed south west facing garden, laid to lawn with brick paved patio and further garden area extending behind the garage.